Did you know that you can submit a request to Family Search for Photo Duplication service of one of their indexed databases for a found indexed record? Stanczyk did not know either. Then I read: “How to order an indexed document from Family Search” by Selma Blackmon . At any rate, you can follow her steps to submit a request. I was able to utilize the info she wrote and submit a request (I am waiting for my emailed document, but I will update my readers when I get the result). Now you only get an email with an attachment of the image for the indexed record, which you request. You need an account [they are free]. Go to FamilySearc.org and click on “Join For Free” to register. Notice that is only an index without any images. So I wanted to order the image of the death certificate I was interested in. I read the instruction from the above Photoduplication Services web page. If you filled in ALL fields then you get the result I did in the picture at the top of this article. But you must fill in all fields or it will sit there as if it ignored your request — sadly no error message indicated I needed to fill in ALL fields. The cost for an email of the document: $0.00. Most genealogists have an account to search the online images in the many databases that Family Search has published. But if not, then this Photoduplication Service should give you the impetus to register for an account. PRICELESS! Thank you Family Search.org for providing this valuable service and Selma Blackmon for writing about it. Rootsweb is completely back online. You can now login to your accounts again and update your online family trees. It had gone down 16-JUNE-2014 along with Ancestry.com and its many other offerings (due to a DDoS attack). While Ancestry.com was back quickly, other Offerings like Rootsweb, Genealogy.com, and MyCanvas remained down. Stanczyk is happy to report Rootsweb, Genealogy.com, and MyCanvas are back online. The cloud is still down for Mundia.com as of this article’s publishing. 27-JUNE-2014 — Ancestry.com & ProQuest announced an expanded agreement to deliver broader array of premier genealogy resources to libraries worldwide. This announcement’s offerings expands the 10 year relationship between the two companies. This should be good news for libraries around the world. Let me first say, that the images I am displaying are from a Mac with Safari (I also do the same in MS Windows, Vista with Safari). I cannot test each browser + operating system combination, but I suspect it may be an MS Windows + Java + Security issue on your part, but let me go step-by-step and perhaps it will work for you too. If not, I would try another browser (Mozilla, Chrome are two other good choices). Let me choose from one of the new Kielce parishes, I have written about as an example. Click on ‘Archiwum Panstwowe w Kielcach’ to follow along with my example. Or you can select the actual archive that has the parish and images you wish to work on. For those who clicked on ‘Kielcach’ you will see a screen with ‘Archiwum Panstwowe w Kielcach’ in big bold text near the top of your window. Click on ‘Resources’ button. Now you will see 9 rows of various parishes from Brzegach to Łukowej. Click on the top one for Brzegach which is numbered as: 21/1700/0 NOTE: you can click on Number or Name field (Brzegach). You will see a screen with the Roman Catholic parish Brzegach, ‘Units 193/193’ and some year ranges and that the records are in Polish, Russian and Latin. Click on ‘Units 193/193’. If you are still with me you will see a list of rows. I am going to click on the 2nd row: ’21/1700/0/-/2‘ or ‘[Akta urodzeń, małżeństw i zgonów]‘. The above scanned image shows popped up window that is a scaled down image that Al want’s to work with [hypothetically speaking, as I do not know which real image(s) Al was referring to]. It has four black ovals surrounding the tiny version of the scanned image that we want to work with. If you were to click on the ‘X’ it would close the popped up image and take you back to the previous window with 10 thumbnail images. Do not click on the ‘X’. Also do not click on the ‘Z’. The ‘Z’ just gives you a zoomed in square that magnifies the image area beneath it, after some delay it will appear and you can drag that around the image to see closer what was written — this is not what you want, but maybe it will meet your needs. 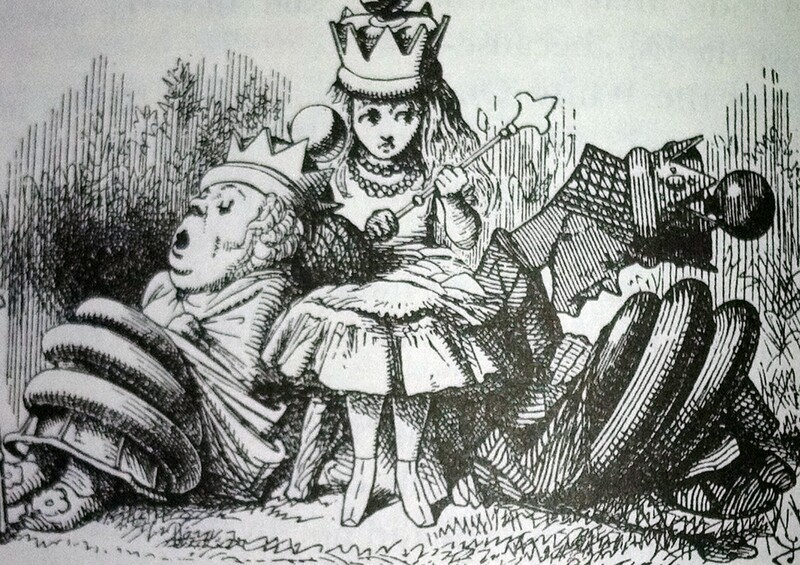 In the above image you should see a portion of the full page at full-size (1:1), unfortunately if is the upper left corner where no text is displayed. You will also see two miniature windows. There is a window titled, ‘Tools’ and another window with the title, ‘Preview’. I dragged both of these windows to the top to get them as much as possible off the full size image. I cannot show you the relative difference in zoom level as I have to scale the image down so it fits on this blog page in HTML and perhaps is scaled differently still on your mobile device. SO I won’t waste your time trying to show the relative zoom-levels which I cannot really do accurately anyway given all of the many ways this blog is presented to you [my many readers]. Let me come back to the second tool which is also very useful. The tool window titled, ‘Preview’ has a tiny gray rectangle in it that is transparent so you can see a thumbnail of the scanned image underneath the transparent gray rectangle. You can drag this rectangle around the preview window and it will move/navigate the full size window to the area you want to read. I find this easier to navigate the full size window so I use it a lot. You can of course click-drag on the full-size window and drag the viewable area around to the portion of the document that you are trying to read. Either way works for me and I use both depending on whether I am doing a big movement (I use ‘Preview’) or for a small adjustment, I use the click-drag on the full size image. Whatever way you find easier to work for you is the way you should work. But there are those two ways to navigate the image. If you prefer, ‘position’ instead of the word navigate. Then you are positioning the scanned image inside the viewable area for that portion of the document that you are trying to read at the current zoom level you are working with. In practice I do not change the brightness or contrast tools, just the zoom tool to get a comfortable zoom-level for these aged eyes of mine to read the handwriting. Different documents or years will be scanned such that you need differing zoom levels. In practice I zoom in from 2 to 7 ‘+’ levels and I have not yet had to zoom out (i.e. the ‘-‘). Your eyes may differ. I hope that answers your question, Al. If not just email me back (click on the jester picture) and I’ll email you personally. Keep in mind that some OS’s do not have java installed or their security is set such that it won’t run as Java had its share of security issues for a while. Every person will need to make those changes on their laptop and/or browser themselves. I just wanted to throw that out as that may be what is going on in your case. Possibly you may not have waited long enough if you clicked on the ‘Z’ in the black oval to provide the magnifying glass rectangle which on my laptop takes a few seconds before it starts to work [it is not instantaneous]. If you clicked on something else before the magnifying glass appeared it might appear to you that it was ‘not zooming’ when in reality it was canceling the magnifying glass because you clicked elsewhere on the web app in your browser. Thanks for the question, I enjoyed it and I enjoy reading your blog too. Alas, Stanczyk does not have any ancestors in the Milwaukee area, but if you do, then see Al’s blog — its a good one. RootsWeb only wounded … Thanks Ancestry for Reply! If you blog they just might come. Immediately after Stanczyk published his last blog Ancestry was very gracious or shall I say that Amy Johnson Crow was gracious to answer my question. THANKS ANCESTRY and Amy! 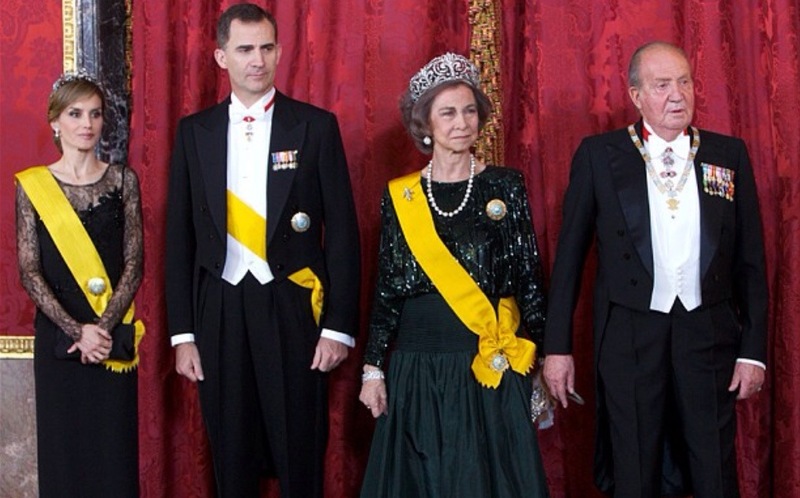 King Felipe VI & former King Juan Carlos & their queens. Yesterday King Juan Carlos abdicated his throne. Yesterday, Spain’s World Cup team was given a Chile-reception (Nil-2) and sent packing for home. But, today is a new day for Spain Felipe VI begins his reign. It is a new era for Spain’s royalty . Wordless Monday … – Stanczyk thought a brief foray into the Heraldic Family Tree of Spain make for a timely blog given King Juan Carlos abdicating in favor of Crown Prince Felipe.